I love teaching as is allows me to share my passion for traditional woodworking. This spring and summer I will be teaching several workshops I developed for the North Bennet Street School. If you have previously been a student in one of my courses and can share the information below with others who may be interested, I would very much appreciate the referral. 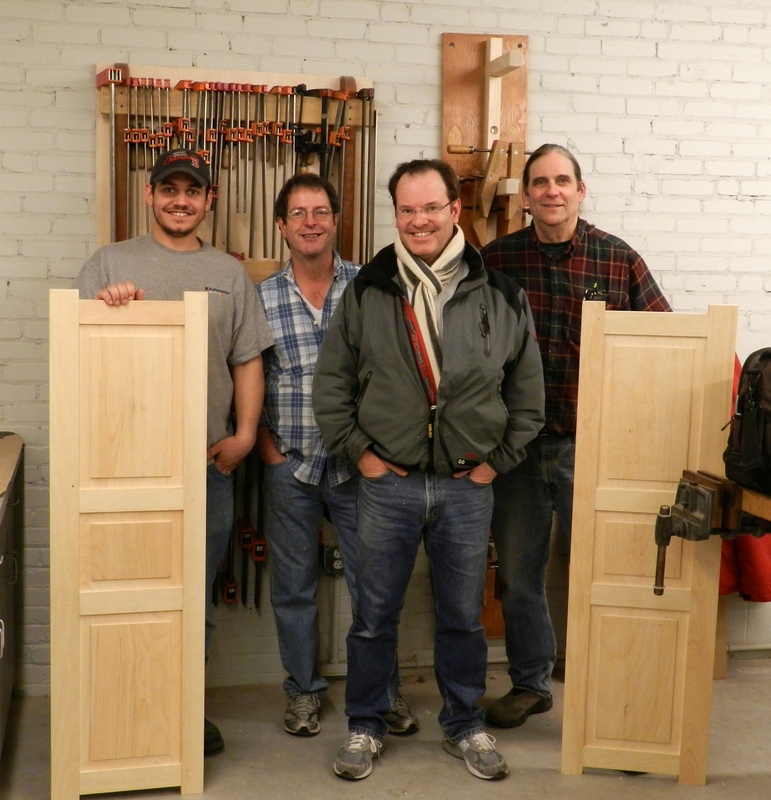 Instructor: Bill Rainford $425 Learn about traditional wooden shutters in this two-day workshop. Using traditional joinery, students build a sample shutter and learn the skills to layout and build shutters for your house. Discussion includes interior and exterior uses, fielded panels and louvered styles Students should be able to plane and square up a board by hand and have some experience laying out and cutting traditional mortise and tenon joinery by hand. Some experience with tuned hand tools and power tools is required. Bill Rainford is a graduate of the Preservation Carpentry program and many PC and CFM workshops. A long time woodworker, Bill currently works on commissioned pieces from his own workshop, site projects, and personalized instruction. More Shuttermaking Workshop Info From A Previous Running of the workshop can be found here. Instructor: Bill Rainford $400 Build a pair of heavy duty work-site saw horses and a pair of neatly joined nesting horses (or ‘Hurdles’) for using in the workshop. Learn various mortise-and-tenon joinery, trestle structures, hollow chisel and plunge router mortising, table saw tenoning, and laying out of splayed legs. If time allows, we also discuss additional fixtures/accessories. You’ll wonder how you ever worked without them. Prerequisites: Either Fundamentals of fine woodworking or Fundamentals of machine woodworking or equivalent experience. 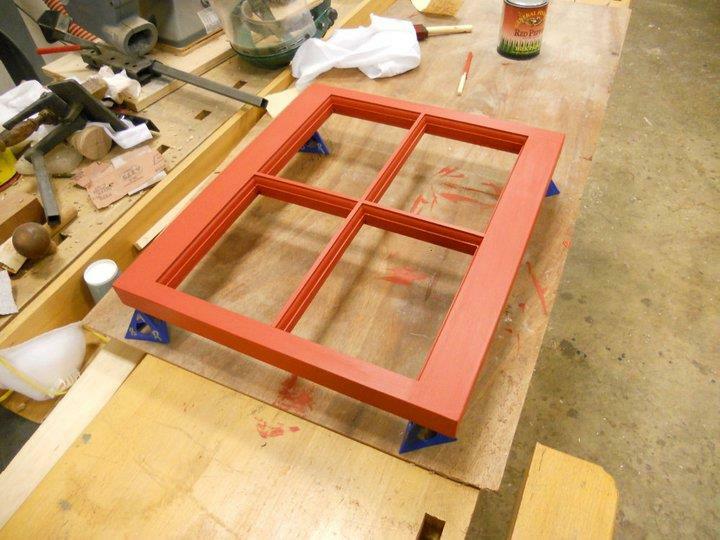 Learn the basics of building a traditional window sash. The sash you make can be used as a small window or a wall hanging. Skills learned include: milling muntin stock, layout from a story stick, mortise and tenon work, coping a profile, draw boring, making pins, cutting glass and the basics of glazing. If time allows, we discuss other styles and tips on fitting a sash to a frame. Prerequisites: Fundamentals of fine woodworking and Fundamentals of machine woodworking or equivalent experience. That’s great! I will sign up for sure. I took the veneer workshop with you and I’m sure you will be a great teacher. Which workshop will teach me the most skills? I like the window sash workshop – seems to incorporate many skills. It’s good to hear from you. Thank you for the note. The shutter workshop will teach a lot about making a frame and panel shutter (or door), draw boring, fielding a panel etc. 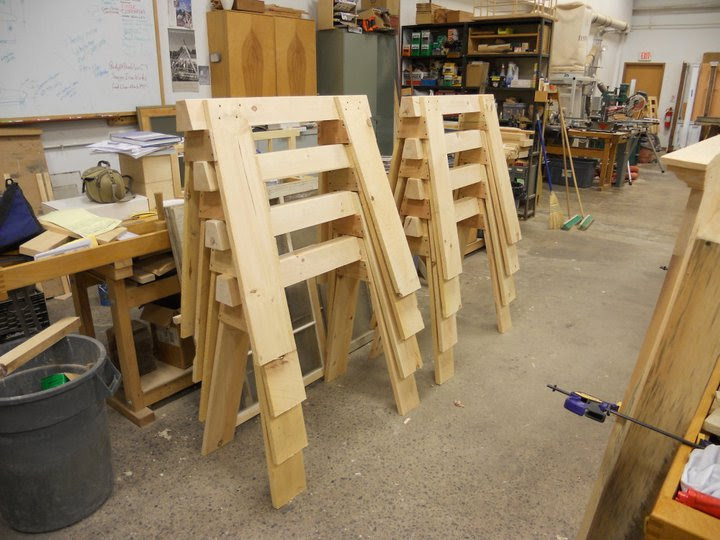 The sawhorse workshop will teach about milling, splay angles,and mortise and tenon construction. The sash workshop will teach about mortise and tenons, draw-boring, coping, preparing muntin stock, cutting glass and glazing. Good for windows and cabinets with glass. If you do sign up for one or more of the above, feel free to shoot me an email. I don’t get a class roster from the school until the course starts, and sometimes a workshop may not run if there are not enough students enrolled. For returning students if they are only a student or two short I can try to rustle up a few more students to help make it run but I need to know ahead of time. I hope all is well and hope to see you again.